Dong and his colleagues appear to have delineated the natural mitochondrial protection pathway in kidney cells and say it's a logical therapeutic target for treating acute kidney injury. "We know there is a natural protective mechanism. Maybe we need to upregulate it," says Dong, also a senior research career scientist and director of research development at the Charlie Norwood Veterans Affairs Medical Center in Augusta. Dong is senior author of the study published in the Journal of Clinical Investigation. In fact, drugs that target at least one key part of the pathway already have been studied in patients experiencing anemia—a deficiency in the red blood cells that carry oxygen—because of chronic kidney disease. Proteins like mitochondrial Protein 18 KDa, or MTP18, for example, have already been implicated in powerhouse fission, at least in periods of stress. The MCG scientists and their collaborators have now confirmed it's a direct target of microRNA-668. "The microRNA-668 gene is a new targeted gene for HIF-1, which may help explain some of HIF-1's protective function," Dong says. 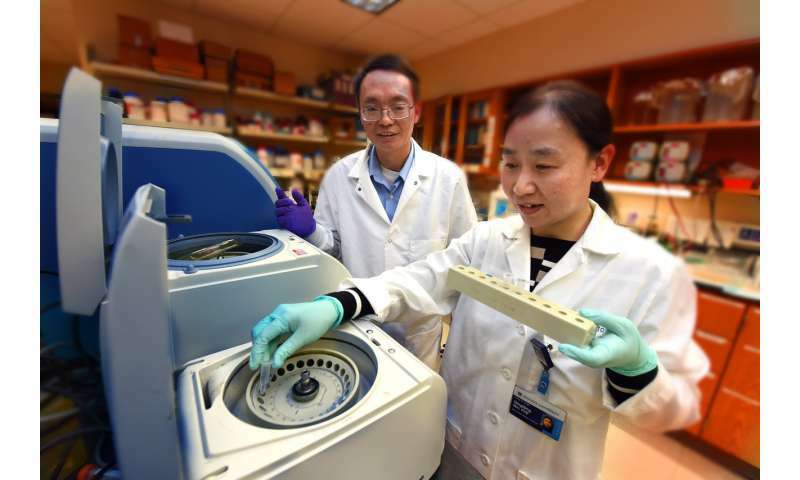 When scientists restricted microRNA-668, more kidney cells died. Conversely, giving a mimic of microRNA-668—to increase its presence—protected kidney cells. More microRNA-668 also meant less MTP18 and vice versa. "We don't know what MTP18 does normally, but now we know what it does when stressed," Dong says. "It induces fragmentation of the mitochondria." They've shown that increased levels of microRNA-668 can prevent most of that damage so the cell can keep functioning ideally until blood and oxygen are restored. "This is like a temporary mechanism for cell survival," Dong says. One way physicians might one day improve the odds for mitochondrial and kidney survival, may be a class of drugs called PHD inhibitors, which have already been studied in chronic kidney disease. PHD—prolyl hydroxylase—is a protein that induces the degradation of protective HIF-1 and Dong suspects PHD inhibitors could benefit patients with acute kidney injury as well. A microRNA-668 mimic, similar to that used in the studies, might one day be another option. Right now there aren't any targeted therapies for acute kidney injury, says Dong, rather supportive therapies like hydration, possible short-term dialysis and addressing the injury cause. Dong's lab was the first to show that as a class of molecules, microRNAs could play an important role in reducing acute kidney injury. They reported in 2010 that deletion of a key enzyme for microRNA production from kidney tubules made mice resistant to ischemia-induced acute kidney injury, suggesting an important destructive role for at least some microRNAs.